I don’t know why everything is better in the Pacific Northwest. It’s annoying. The coffee is better, the produce is better, the vibe seems better and, the cocktail scene is way, way better. Everything other than the weather, I guess. Victoria was the last of the big four cities in the area for me to visit (Portland, Seattle and Vancouver being the others) and I finally got there this summer. There are some spectacular places to drink but one of my favourites was Veneto at The Rialto. Sets in the West was created by Brian Newham at The Veneto and is a phenomenal cocktail. The intensity of the whiskey is mellowed by the orange and sumac of the Manitou liqueur. The mild caraway tones blend beautifully with the spice of the vermouth. 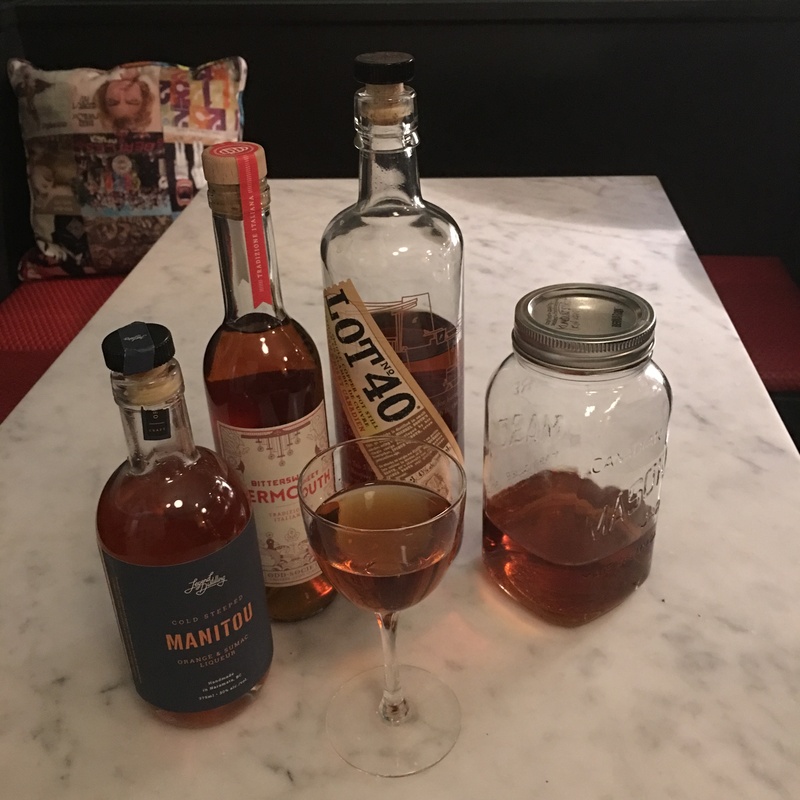 Manitou liqueur and Bittersweet vermouth are both made and available in British Columbia. An orange liqueur like Cointreau and any sweet vermouth can be used in their place. Also, any Canadian whiskey can be swapped for the Lot 40. Strain into a chilled delicate and stemmed Nick & Nora. Lightly toast 2 tbsp of caraway seeds in a fry pan. Add to 1 cup of Canadian whiskey. Infuse for two days. Shake often. Strain and discard seeds.